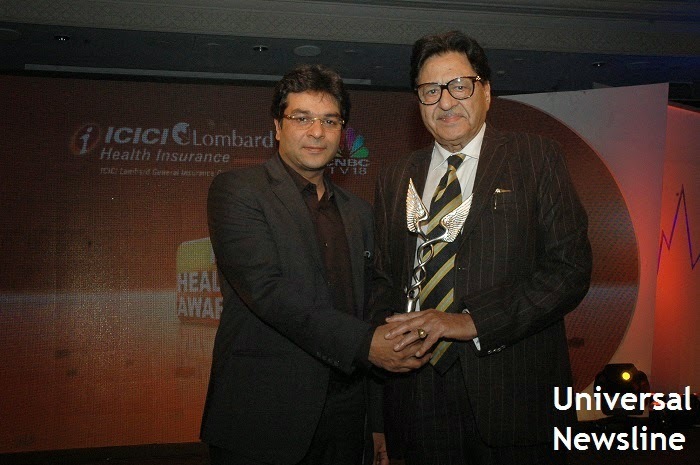 RG Stone Urology & Laparoscopy Hospital, India’s only chain of super-specialty Urology & Laparoscopy hospitals and the leader in Lithotripsy & Holmium Laser treatment in India was awarded with Best single specialty hospital for Urology by CNBC TV 18 Healthcare Awards for 2013. Institute of Neurosciences, Kolkata for Neurology, Gunasheela Surgical and Maternity Hospital, Bengaluru for Gynaecology and National Institute of Mental Health and Neuro Science, Bengaluru for Neurlogy & Psychiatry. An initiative to recognize and honor India’s finest health care service providers in the country, the award ceremony witnessed more than 3500 hospitals from metro, non-metro as well as districts participating for the honors. A total of 27 awards were conferred at grand ceremony at New Delhi, felicitated by Dr. Montek Singh Ahluwalia, Deputy Chairman, Planning Commission of India. Commenting on the announcement, Dr. Bhim Sen Bansal, Chairman & Managing Director, RG Stone Urology & Laparoscopy Hospital said, "It is a moment of great pride and honour to have been judged as the Best Single Speciality Hospital in Urology. This award is in recognition for the efforts put by the entire team of RG Stone." RG Stone Urology & Laparoscopy Hospital is India’s only chain of super-specialty Urology & Laparoscopy hospitals and the leader in Lithotripsy & Holmium Laser treatment in India, fully equipped with state-of-the-art, U.S. FDA approved international standard equipment. The chain of hospitals is endowed with ISO 9001:2000 certification for its quality management system. CNBC-TV18 is a business news channel broadcast in India based in Mumbai. It was the first business news channel launched in India and still leads that genre. The channel has been an integral part of the Indian economic story, spearheading and mirroring India's enterprising times. CNBC-TV18 has been constantly innovating with new genres of programming that helps make business more relevant to different constituencies across India. India’s most able business audience consumes CNBC-TV18 for their information and investing needs. CNBC-TV18 is available in over 35 million households in India. ICICI Lombard Ltd. is the largest private sector general insurance company in India with a Gross Written Premium (GWP) over INR4734.89 crore (US$760 million)as of March 2011. The company issued over 7.6 million policies and settled over 4.4 million claims per year, As of 2012. The company has a network of 315 branches as on 31 March 2011. The firm offers policy issuance and renewal through its website. It markets assurance products including Car Insurance, Health Insurance, International Travel Insurance, Overseas Student Travel Insurance, Two Wheeler Insurance, and Home Insurance.